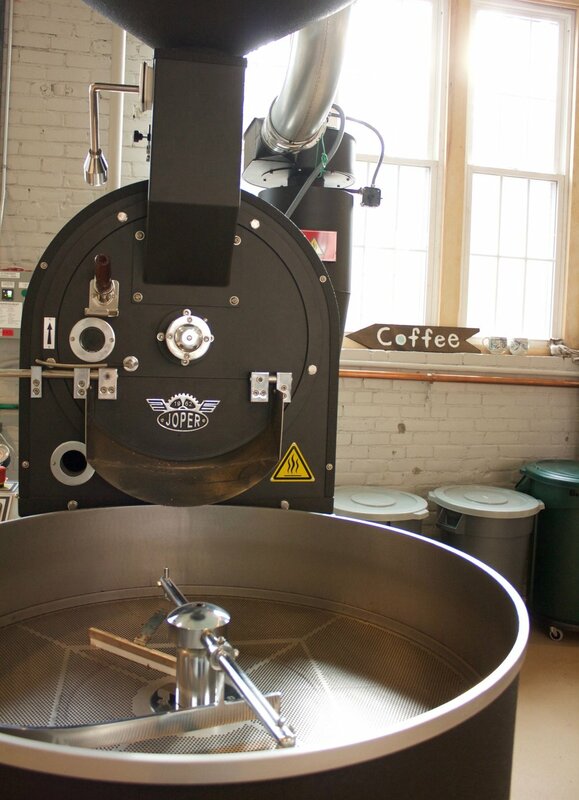 We roast on a fully manual double-walled drum roaster that was custom built for us in Portugal. It roasts in small batches – about 30 pounds at a time – which means we can give lots of love and attention to every roast. 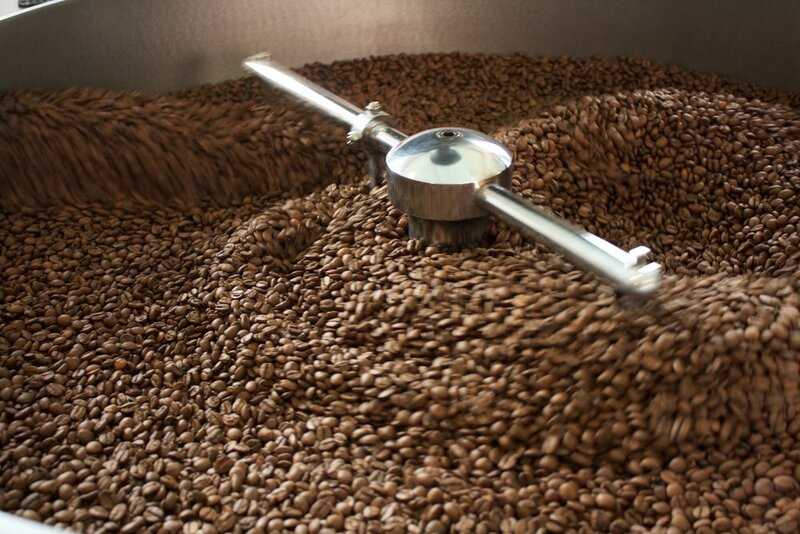 The double-walled drum design prevents bean scorching that can be a problem with single-walled drum roasters. Like an airbed roaster, chaff is continually whisked away during the roasting process, so there are never any burnt or bitter flavors. Unlike an airbed roaster, the manual roaster offers full control over a number of variables during every stage of the roast. This allows us to customize a roast profile to the unique characteristics of each bean varietal and crop, delivering a wonderful nuance, complexity, and depth of flavor in the final product—the coffee in your cup! Freshly roasted coffee beans in the cooling tray.